So we did the same basic work on our aluminium skin, just washed it with a sponge, scotch brite and made sure it didn't have that oily coat on the aluminium since we are going to paint it later. 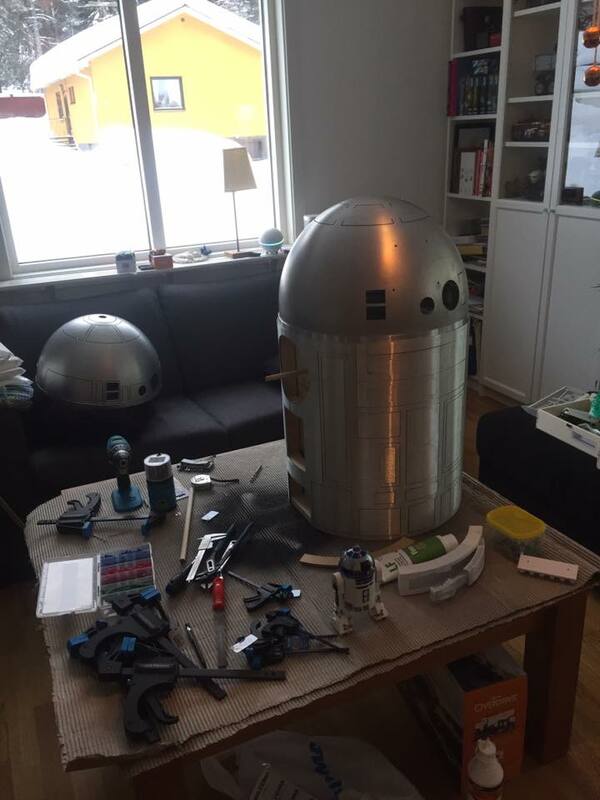 Here we testfit the whole thing together! Basic test, seems like the Lazy Susan can be adjusted and just leave a 1-2 mm gap between the skin and the dome. We tried to see how greebles will fit behind the skin and later we will start cutting into the skin. But this is good for now!